The Honeywell 6165EX is a custom slimline alpha keypad designed for Honeywell security systems. The 6165EX is compact in size and has an attractive white console that blends in perfectly with any décor. With a portrait style design to fit more applications, the 6165EX and has an attractive appearance. The 6165EX features a custom alpha backlit display, where end-users can personalize each zone, making system operation easy. The 6165EX can display three-digit zone numbers for use with higher-end systems and contains a contoured, removable door that conceals soft-touch illuminated keys. The 6165EX programs and displays exactly like the 6160 keypad, making installation, training and operation simple. 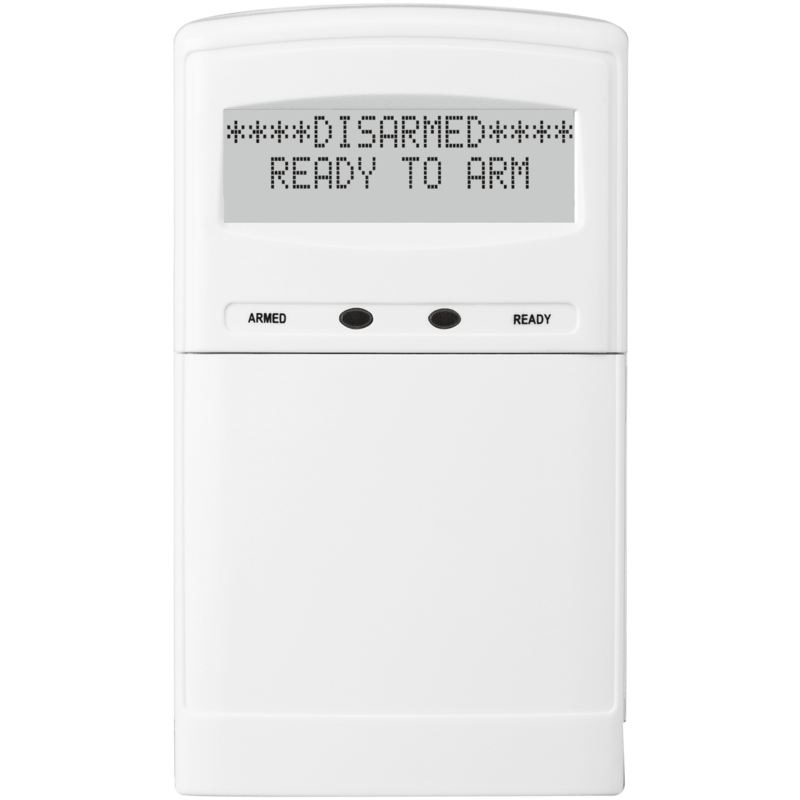 There are four, fully programmable function keys that can be customized for quick arming, controlling lights and garage doors and panics to alert fire, police, medical or other emergency response personnel. Colored, self-adhesive labels are included for the function keys.